A couple months ago, Katy dropped "Swish Swish," a song that everyone and their mother is convinced is a Taylor Swift diss track. 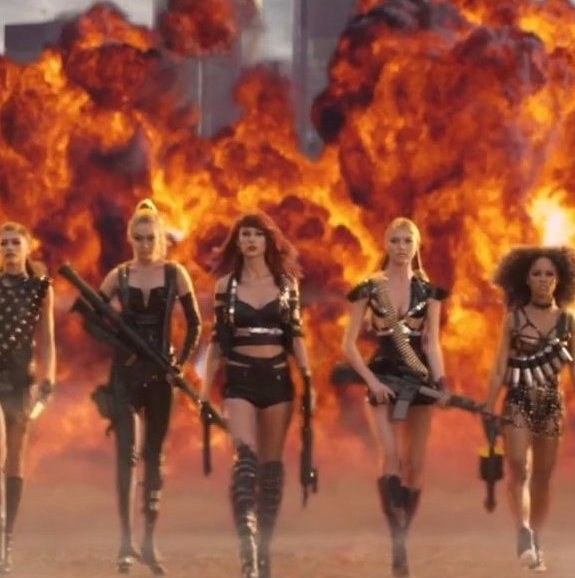 Fast-forward to today: Katy dropped the first teaser for her new video, and people are already pointing out how much it has in common with "Bad Blood." Even beyond copying it, there is some really shady stuff in there— further making us believe the song is a TS diss track. Let's take a closer look. Let's start with the tweet itself. Catastrophe... sound FAMILIAR?!? That's because Catastrophe was Taylor's name in her "Bad Blood" video. 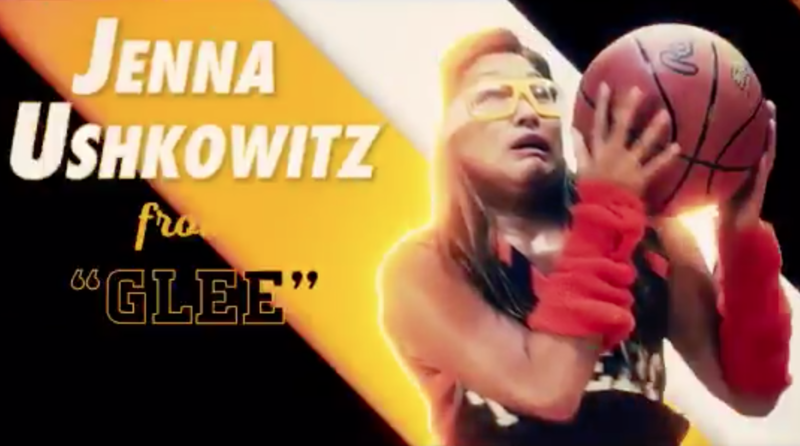 Then there's the premise of the video: two teams competing with a lot of celebrity cameos. Wait, did I just describe "Bad Blood"? Even the way the cameos are introduced gives us "Bad Blood" vibes. Then there's the basketball teams in the video: We have the Sheep vs. the Tigers. Katy is playing for the Tigers against her rivals in "SHEEP'S CLOTHING." That reminds me of a ~certain~ tweet. As for the Sheeps...we have Terry Crews wearing an ~interesting~ choice of wig in Taylor Swift blonde. And then we have the Announcers, who in their only line say, "Where do they find these people?" Which sounds awfully similar to something Katy would say in response to Taylor's squad in her "Bad Blood" video. There you have it! More shade to fuel this "feud." And here's the entire teaser!